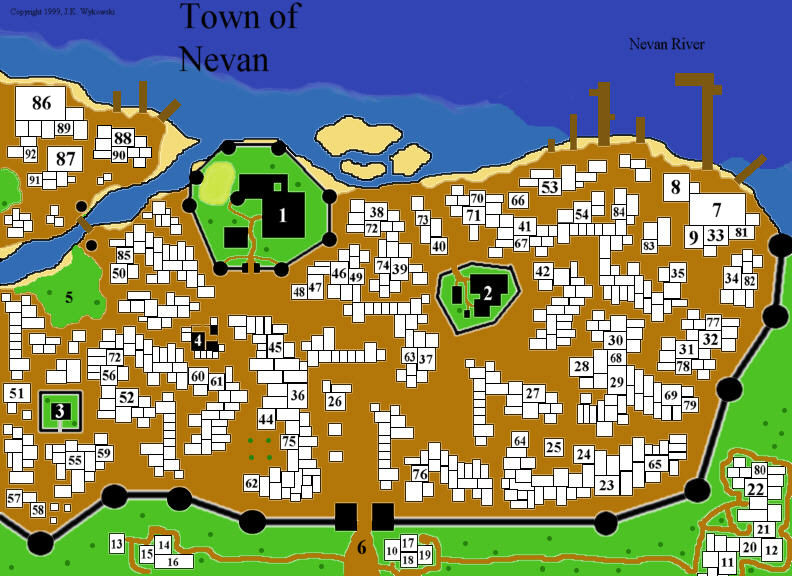 The Town of Nevan is at the end of the Nevan River, very close to the junction of the Dragonspine Mountains. 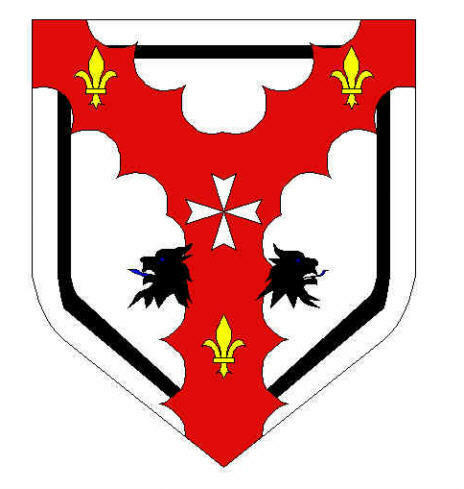 The town is a large one on the south side of the Nevan River and incorporates part of Haldur's Creek. The majority of the town is walled, but the portion just north of Haldur's Creek is not walled and is guarded by two towers by the Guardian Bridge. This wooden bridge is an elaborate affair with ancient carvings, some stone supports, and twin stone towers on opposite sides of the bank. 2 - Temple of the "One True Light"
This establishment is a clean and friendly establishment with good food and drink. There are three private rooms (5 ST) available for renting and a large common room (3 ST) that sleeps ten. Currently un-owned, this two story townhouse was owned by the missing Robert Townsend.